I have been trying to get in better shape over here at Sincerely, Ronda and my most favorite way of doing so is to get outside and hit the pavement running! For some time now I have been carrying my phone and water, but I am always worried I will drop my phone once my hands start to get a little sweaty. I always see people out on the trails with their arm bands and thought I should give one a try! The first band I am going to share is for the I-phone 6 or 6s, this particular arm band also comes with a screen protector and an extender. 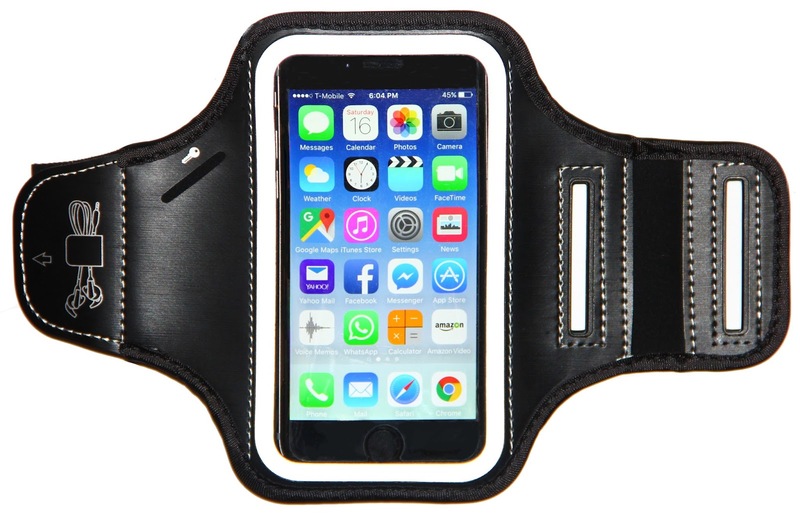 This arm band helps to protect your I-phone while working out against moisture. You are still able to use the full touch screen while your phone is in this case. I love that this armband provides storage for not only your device but also It is able to store your cards, cash, as well as your house key! with the extender this arm band fits arms from 9-20 inches! 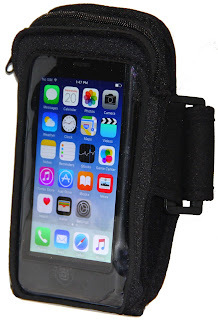 You can purchase the Iphone arm band with extender for the I-phone 6 at amazon here. I love the way this arm band feels while I'm running, it fits perfectly with minimal slide or bounce! 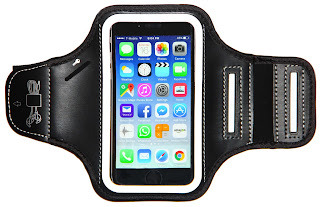 I loved mine so much that my daughter wanted one as well, but since she had the I-phone 5 we went with the arm band that fits the I-phone SE, 5, 5S, & 5C This armband has a full touch screen control and easy access to the headphone jack and charge port. Teenagers always need their music, so this is a nice feature! This one also has extra storage to carry an id, cash, and house key inside. 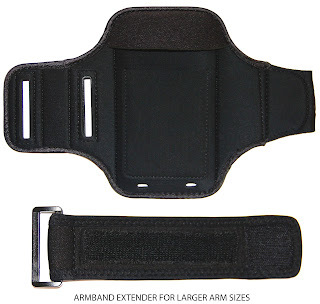 This arm band fits arms 9-14 inches and will fit up to 20 inches with the provided extender. 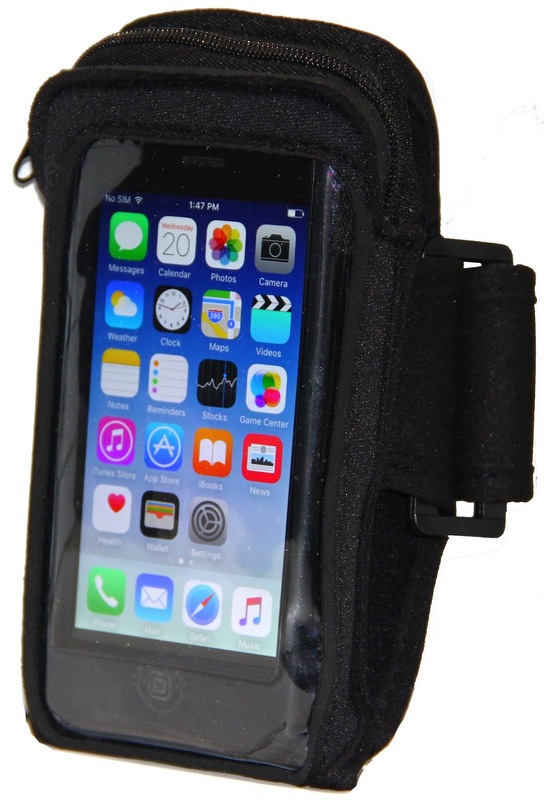 You can purchase the Iphone arm band with extender for the I-phone SE, 5, 5S, & 5C at amazon here. I would say this one does not look as sleek as the i-phone 6 case, but fits everything comfortably inside and works very well! Now watch out world! These girls have their gear and are ready to conquer the world! Sincerely, Ronda received these arm bands at a discounted price in exchange for an honest review. all opinions expressed here are my own. Do You Want to Save While You Shop, All While Feeding the Needy? Now You Can! I literally just bought a pair of shoes at one of my favorite stores, saved money while doing so, all while sending a meal to a needy family! How you may ask? Giving Assistant is a free shopping experience working with 1100 brands and retailers form Target, to Walmart, Amazon, and Starbucks! Brands provide Giving Assistant discounts and commissions that they pass on to their members as cashback! Most Members earn over $700 annually and can automatically donate all or a percentage of their earnings to their favorite charity. In Giving assistant's first 12 months they were able to generate over 180k in donations!! Here is my favorite part, whether you choose to donate a percentage or not, Giving Assistant will donate a meal to a needy family on your behalf every time you earn cash back!! So my pair of shoes I just bought, I got a discount on, earned cash back, and sent a meal to a needy family! I was able to get my shopping done, earn money, and feed the needy all from the comfort of my home office! It doesn't get much better than that! ~Giving Assistant's mission is to save you more money, so you can better care for your loved ones and support charity! 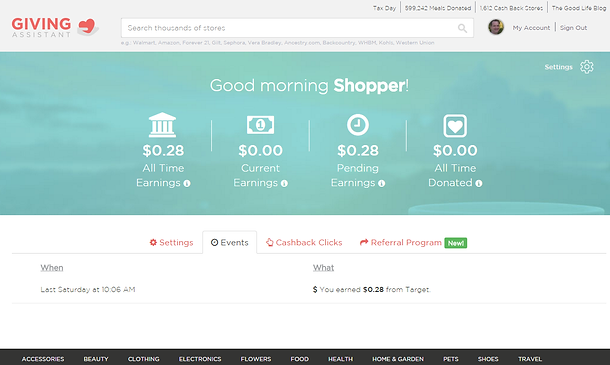 ~Giving Assistant is a free digital loyalty program, over 1,100 largest retailers, avg. of 5% cash reward after each online purchase. ~Retailers pay Giving Assistant a commission for purchases originated from Giving Assistant website. Typically a percentage of the sale (avg ~5%). ~For purchases originated by our members we pay the entire commission as cash back directly and digitally to our members. ~For non-member purchases we retain the commission, and make a small donation to Feeding America to give one meal. ~Members are given the option to automatically donate any % of their cash back to any charity of their choice. Giving Assistant gives you their promise! ~We give you 100% of the commission, unlike the other guys with just 50% of the commission. ~We pay in days direct to your secure debit card. Not months waiting for a check in the mail like other cash back sites. ~Minimum payout is just $5.01, not $25 like the other guys. ~Hassle Free Guarantee. Missing cashback? Giving Assistant has the best customer service in the industry to make sure you get your full cash back amount. If you are anything like me you will Love these stores! I have included some links to some of my favorites on the Giving Assistant site for you to check out! Disclaimer: Giving Assistant is a simple, free & secure cash back community for shopping responsibly. Sincerelyronda was compensated by giving assistant for an honest review of their site. all opinions expressed here are my own. This post contains affiliate links. Today I am excited to bring you E-hydrate! E-hydrate has many awesome products to keep you hydrated while on the go. Staying Hydrated this summer will not only keep you feeling great, but E-hydrate makes feeling great taste great too! Today I want to talk specifically about the E-hydrate's Protein On-The-Go. I want to start by stating that ALL of E-hydrate's hydration, nutrition and energy products are all natural with great tasting REAL flavors born in the kitchen, not in a laboratory! The Natural Protein On-The-Go Premium Whey Blend + Electrolytes has 25 G of protein, is gluten free. These Protein shakes help you recover, hydrates, and energizes, all while coming in great flavors and taste! The E-hydrate Protein On-The-Go won the Best Taste Award in 2015 by NaturalNutritionReview.com. Each shake is only 150 calories. These shakes come in a recyclable pouch form, they are flat and would be great for backpacking or cross country bicycle riding because they literally take no space while packing! When ready to use you fill the pouch halfway with water, shake it up until the powder is dissolved, and then fill the pouch the rest of the way with water and enjoy! Ingredients are rapidly absorbed for faster recovery and recommended for use immediately after exercise or strenuous activity. The E-hydrate protein On-The-Go can also be used as a meal replacement for active lifestyles (Not meant for weight reduction). I was provided the Chocolate and Vanilla flavors to try in exchange for an honest review and I must say I was pleasantly surprised at the taste! I felt full after drinking it and felt the energy kick it right away! Healthy, natural alternative to high sugar carbonated drinks! So keep your eye out for the KIDS Protein On-The-Go coming to Target in the coming months! I hope you enjoyed hearing all about this great product! A great way to stay hydrated this summer! Exciting news!! Readers of my blog can receive 20% off your first order by using the code: momsmeet at checkout!! Visit e-hydrate.com to make your first order! disclaimer: I received this product for free from the sponsor of the Moms Meet program greenmomsmeet.com, May Media Group LLC, who received it directly from the manufacturer. As a Moms Meet blogger, I agree to use this product and post my opinion on my blog. My opinions are my own and do not in any way reflect the opinions of May Media Group LLC or the manufacturer of this product. I Lost My Refrigerator Under All This Paper! I remember back in the day when I could still see the color of my refrigerator! If my mind serves me correctly I think it may be a chrome color, but I haven't seen it for over 14 years so i can't be too sure! You see I am a mom, of not one, not two, but three kiddos! Three kiddos means three little sets of creative hands making all sort of fridge worthy artwork! Not only artwork adorns my once sleek and modern fridge, but also spelling tests, love notes, letters to the Easter Bunny. I think Santa's wish lists still may be there as well as some lost Christmas cards we received! At one point I had ordered these cool little photo frame magnets, so there is one little section way up high that has some organized chaos to it! Other than that one little section of framed photos, the rest of the surface is a HOT MESS!! There are random magnets holding things up, as well as word whammer letters! As far as I know there could even be some chewing gum holding up some of those papers! Who knows?? How do you decide what to remove and what stays? Who's spelling test is cooler than the other? I don't have the heart to remove any of their hard work, so we just keep adding to it! Well I've run out of word whammer letters, so I was in desperate need of some more magnets! To avoid the chewing gum situation or them using up all my tape, I was offered to review some cool little push pin magnets in exchange for a review on my blog! Now I get a lot of things to review here, but I may have been the most excited to receive this tiny little 2 inch by 2 inch box of colorful magnets more than anything!! When I first opened the envelope in the mail, I wasn't quite sure what could be inside this tiny box. I opened the box to see the colorful magnets inside. I was a tiny bit sad they were so small, because I was worried they were not going to be able to stand up to the task! holding up to the creativity in our home is a BIG job, but these little pins surprised me! All though they be small, they are fierce! I noticed right away when trying to remove them from one another that they were up to the task! I am so happy that these little guys have come to join our family and help display all our future fridge worthy pieces of art! Their strength is like none other and we are ready to put that to the test! I received these little beauties from Ava's Office Solutions. They come as you can see in several bright colors, and are very strong!! I am super happy with them and give them a two thumbs up! These would be great for white boards, refrigerators, or any magnetic surface!! Thanks for stopping by! ***Disclosure:This post is sponsored by evite invitations, but as always all opinions are my own! I open the windows, the birds are chirping, the orange blossoms are intoxicating, flowers are blooming, and the air is just a little warmer! 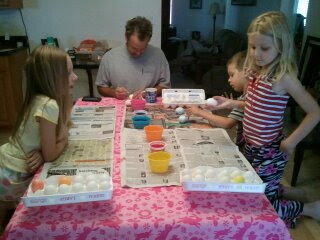 Spring is about to be upon us as well as my favorite childhood holiday...EASTER! As a young girl I loved Easter! I don't know if it was the feel of the warming sun on my skin, my new Easter dress and sandals, the pastels, the egg dying and baskets or the afternoon where all the family got together to celebrate! Family has always been a huge part of who i am as a person. Everything in life is better together and Easter was no different! we would meet up with our cousins and aunts and uncles at my granny and papa's house. We would have a big picnic lunch, run around and hunt for Easter eggs and build huge memories! Now I have children of my own, and although we don't get together every year with all the extended family, the day is still so much fun! Sometimes life puts us all over the map and family is not always close. Unfortunately this is the case in our family, but thanks to Evite we are able to send a card to let the family know we are with them this season in spirit! 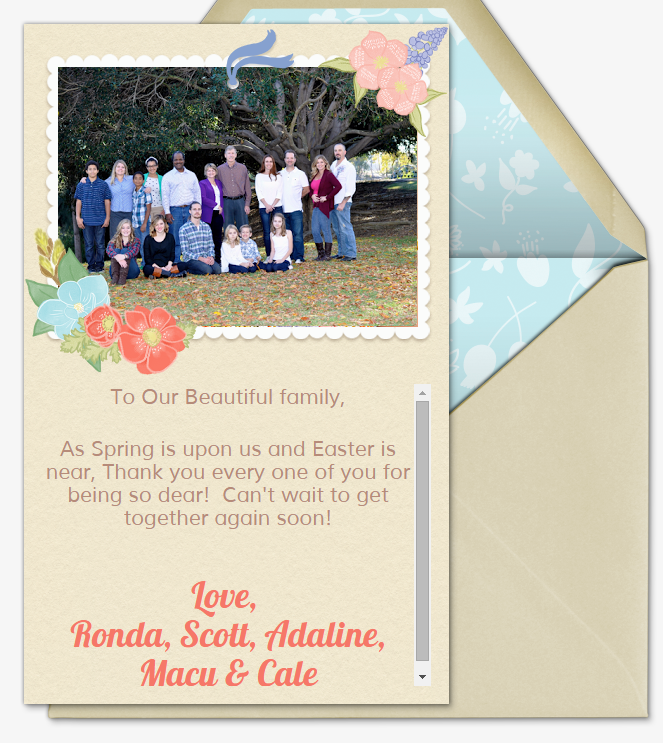 I made a special card for our family using Evite to let them know we are thinking about them and can't wait to get together soon! What are some ways you celebrate Spring with your family? We would love to hear about your traditions as well! Sincerely, Ronda has some BIG news!! Hi, thanks for stopping by today! 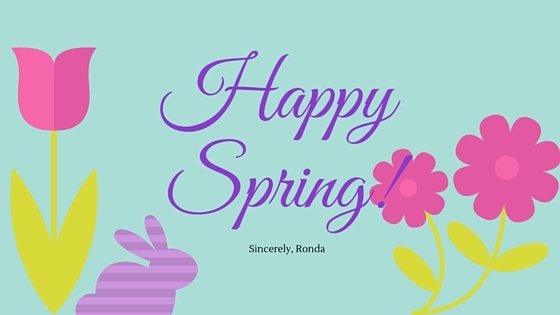 Sincerely, Ronda has some exciting news to share with you! You may have seen me post on my social media sites about a new exciting adventure I'm about to embark on, I just wanted to swing by today and give you a little more information! 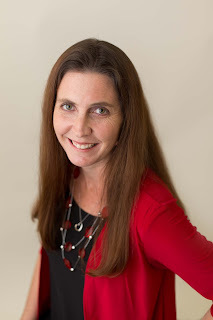 Sincerely, Ronda has been chosen to be a part of a very exciting team of moms as a contributor at our local West Valley Mom's Blog! 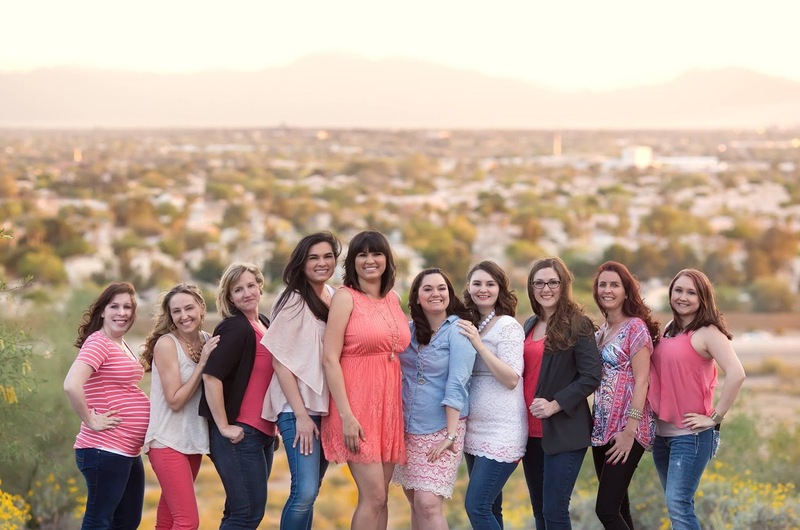 You can swing over and read all about the West Valley Moms Blog Here! 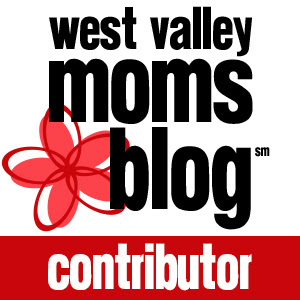 West Valley Mom's Blog is a sister site in the City Moms Blog Network. We are a community of women who are passionate about connecting moms. Each one of the sister sites are written and run by local moms, they share local information, parenting tips, offer local recommendations, and build friendships in their community! Sincerely, Ronda is so very proud and humbled to be a part of this amazing team of very talented and smart women! I can't wait to start sharing all the great things we have in store! In order to catch all the excitement make sure to follow along on our social Media sites as well! I don't know if it's the Irish in me, but I have always enjoyed Saint Patrick's Day! This year my kids are putting together these cute little Pots O' Gold to hand out to their friends at school! These are super easy to make and very affordable! Not to mention lots of fun!! These little sparkly beauties were less than a dollar per Pot O' Gold and were a fun little project for the kiddos! They are excited to bring them to their besties come March 17th!! Creamy Chicken, Spinach & Artichoke Stuffed Pasta!! Warning! This is NOT diet food! My poor husband is in a weight loss challenge with his co-workers and I have not been very nice with my choice of dinners. Although this meal is not diet friendly, it can be your taste buds best friend! I have to give myself a pat on the back with this one, I truly outdid myself! Haha! I love spinach artichoke dip, but don't get it often enough, usually only around super bowl party time. I decided to do a spin off of my original spinach artichoke dip and make a delightful dinner. I promise you will not be disappointed in this one! combine shredded chicken, chopped artichoke, garlic, spinach, bell pepper, mozzarella, Parmesan, softened cream cheese, salt and pepper to taste in a large bowl. mix together well! add about 2 tbsp. chicken mixture to middle of cooked lasagna noodle and roll up. Having grown up in a family with seven brothers I learned early on that accidents happen. The only way to make accidents a little less stressful is if you are prepared to handle them. This is why I believe every family should have a first aid kit readily available for life's little mishaps! Although I have everything in my home I would need in case of an emergency or first aid situation I wanted a small first aid kit I could throw in my vehicle, for when we are away from home. My family loves to go camping, off-roading, and do all types of fun outdoor activities. You never know when you may find yourself in a situation where first aid needs to be administered. I got a cute little first aid kit by Protect life for precautionary measures. 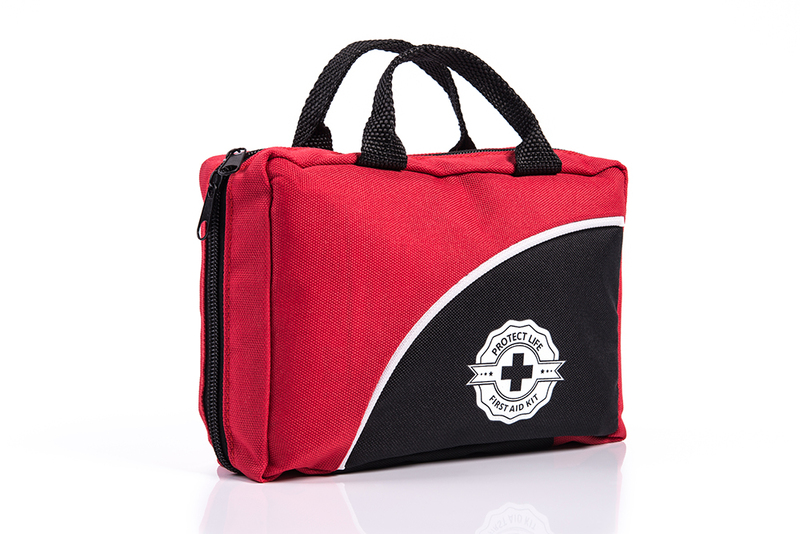 Now don't let this cute little size fool you, this first aid kits comes well equipped with everything you may need! The kit is the perfect size to keep under my car seat in case of the un-expected, but it would also be great for back packing, mountain biking, or any activity you may find your self needing first aid! Here is a list of the 115 pieces included in your kit!! 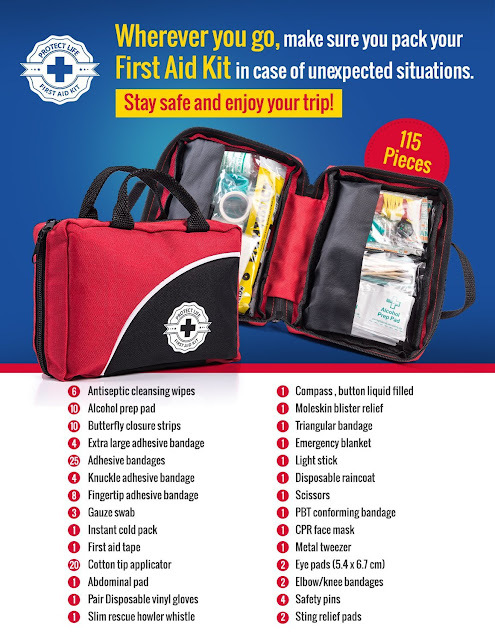 For more information on this first aid Kit by Protect Life you may click HERE! What is a mom and a dad? I did an interview with my nine year old son to see what he thought, and these are his answers! What did I get out of this mini interview? Your kids are always watching, so be the kind of parent you hope them to be to your grandchildren! What is a Mom? "I think it's like a person who made you." What is a Dad? "It's a little bit of a rude person who takes care of you." What is a mom's most important job? "Taking care of kids! I think everyone already knew that!" What is a Dad's most important job? "Going to work to take care of their kids." If a mom could have one wish, what would she wish for? "A husband and kids." If a Dad could have one wish, what would he wish for? "A million dollars." Do you think moms should work or stay home? "Stay home, because then when their kids are sick they will not get fired for not going to work." Do you think Dad's should work or stay home? "work...they should just work"
What is a mom's least favorite chore? "I would probably say laundry!" What is a Dad's least favorite chore? "cleaning up messes"
What is the best thing about moms? "They take care of you"
What is the best thing about dads? "They are funny!" If you could tell your mom one thing, what would you tell her? "I love you"
If you could tell your Dad one thing, what would you tell him? "I love you"
What is one word that best describes your mom? "best"
What is one word that best describes your dad? "Rice! because he is kind of nice and kind of rude"
What would the world be like if all the moms disappeared? "like a million years after they are all gone it wouldn't matter because everyone would be dead!" What would the world be like if all the dads disappeared? "people would be dead if there was an apocolypse with no dads to protect them!" How do moms learn to be a mom? "They learn from their moms"
How do Dads learn to be a dad? "watching how their dads do it"
How do moms decide they want to be a mom? "they look at their mom's faces to see how they feel about it"
How do Dads decide they want to be a dad? "They listen to their wife!" Long long ago a explorer was going around exploring. One day guess what he found? A striped horse! He was amazed. He went over to pet it, but It kicked him in the stomach. Then he wanted to capture it, but how? He gathered materials to trap it in a cage of sticks. When he put it over the zebra, the zebra broke it. Then he lassoed it, but his rope was too short. He then hired helicopters to helps catch the zebra. He tied longer ropes to the helicopters and on the zebra's feet. The zebra held on to a tree. "Let me go! ", the zebra cried. The helicopters stopped. "It talked! ",the pilot said in amazement. The zebra pulled the ropes off its feet. "What is wrong with this horse!? ", the explorer said. "Horse?...Horse! How dare you call me a horse! I am more than just a horse with these zigzag stripes! ",the zebra said. "Hmmm, what do I call you? ", the man asked. "A zebra, duuhh!" 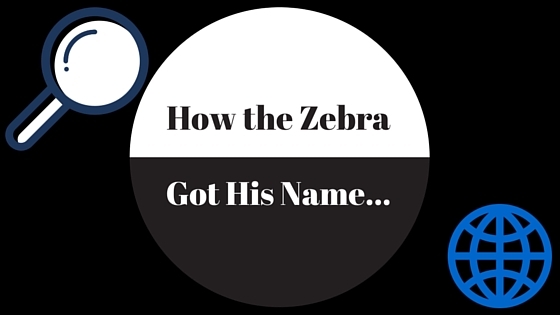 The man knew the zebra made that odd name up but decided not to make it mad. He told people about what he discovered, but they thought he was crazy. " What kind of name is zebra? ",one said. "That's a horse. ",others said. But later scientists discovered it was much more hostile than a horse. They decided to name it the Zemberoni, unhappy about the name the zebra ate that scientist. Then they decided to just call it a zebra. F.A.T melter - All Natural Energy and Mood Enhancer. Weight Loss Blend - Garcinia Cambogia - Caralluma - Forskolin - Raspberry Ketones - Pure Natural Carb Blocking Appetite Suppressant -Recommended Energy Booster Fat Burning Supplements Made In The USA! I was recently sent this weight loss blend to review and give my honest feedback. Here at SincerelyRonda I bring you products I have tested and tried myself and as always all opinions are my own. After the miscarriage of our son coming up to two years ago, my body has had a heck of a time bouncing back. Whether it be my hormones, being a little depressed, or just eating too much pasta, I have put on some weight. Not a whole lot of weight, but enough to make me a little self conscience in a swim suit. I applied to try this blend, mostly to try and get my energy levels up because I have been so sluggish lately. I received my bottle of F.A.T melter in the mail and was excited to give it a try! When ever you decide to try any supplement you should consult your doctor to make sure it is right for you! This particular supplement recommends consulting your doc if you are pregnant or nursing, under the age of 18, or have a known medical condition. I did not fall into any of these categories to I started right away upon receiving them! The first thing I noticed was the suggested use. They suggest you take two capsules daily. For best results skip breakfast, drink at least 8-12 cups of water, and eat only meat and vegetables until dinner time. At dinner after exercise eat a full wholesome meal with carbs. Maybe I'm crazy but I kinda like breakfast and feel it is important to fuel your body for the day ahead, so I wasn't too keen on the idea of skipping breakfast. To be fair and give the product an honest review, I followed the instruction and took the F.A.T melter as directed. The first day I had no cravings. I didn't feel too much of a mood change or energy change, I just had no desire to eat. I continued taking this supplement for three consecutive days until I had to quit taking them. My tummy was having a sensitivity to one of the ingredients and I just did not feel well at all. Furthermore I can not honestly recommend this product or recommend against it because I could not continue the full month review. I can say that if you have a sensitivity to any of the ingredients listed, Maybe this product is not right for you! Garcinia Cambogia(HCA) - Improve Your Ability To Work Out Longer! Thus, More Weight Loss! Forskolin - Improves Cardiac and Cardio-Respiratory Function Which Is The Basis Of An Effective Workout. Raspberry Ketone - Dr. Oz Say's "It's A Miracle For Weightloss". It Does So By Increasing Lean Muscle Mass Much Quicker Than Normal. Green Coffee - Natural Fat Burning Booster, Even Without Exercise! White Kidney Bean - Excellent Source Of Dietary Fiber. Fiber might Helps Prevent Cholesterol Absorption And Increase Elimination Of Dietary Fat. Caralluma - Used For Centuries By Eastern Hunters As An Appetite Suppressant. African Mango - Has An Abundantly High Fiber Content That Will Reduce Fat Cell Growth And Increase The Breakdown Of Fats. In my house Love is in the air and so is the delicious scent of our Spill your heart out Valentine Butter Cookies! 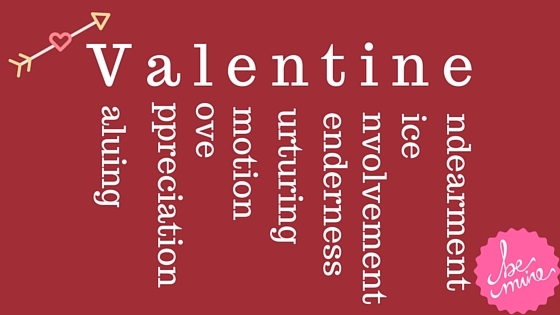 I often make these around the winter holidays, but thought it would be fun to put a Valentine spin on things! Since it is Valentines weekend these little cuties will be my gift to the loves in my home. 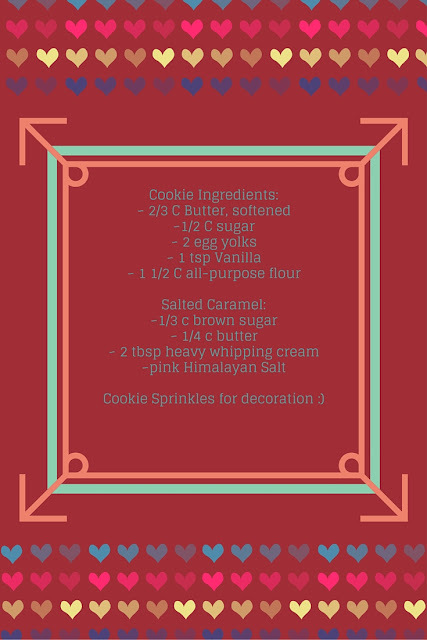 Preheat oven to 375 degrees F. take your pointer finger and dip into flour, now press twice on each cookie to form a heart shape. sprinkle edges with cookie sprinkles. Bake directly from refrigerator for 8-10 minutes. You may need to do some addition pressing on the top to make a nice caramel boat after removing them from the oven. cool completely. Making the caramel sauce is easy! Melt remaining 1/4 cup butter and 1/3 cup brown sugar in small saucepan over medium heat. cook, whisking constantly, until mixture begins to bubble. continue cooking an additional minute. remove from heat and slowly add whipping cream until smooth. allow to cool for 15 minutes. spoon approximately 1 tsp. caramel sauce into your heart shaped boats on top of your cookie. let caramel set about 5 minutes, sprinkle pink salt on top and share the love!! Once upon a time there was a dragon roaming around a unknown place when she found a small crying child.His name was Carl.The dragon thought he would taste good but decided to speak with him first. "Hello small child",said the dragon licking her lips. The child gasped and noticed the dragon. "Aaah", Carl said. The dragon made her hands in a circle shape around Carl. He was trapped. "Heeelllpp!!! ", Carl yelled as loud as he could. "Hush, little boy. Tell me why you were crying." Carl, still shaking, started telling the dragon the story. "My father told me to sell some of his bread, but nobody wanted it. I didn't know what he'd do if I didn't sell the bread.I decided I would run away. "The dragon was interested and wanted to know more. "How about your mother? ",the dragon asked. "She is an adventurer and...",Carl paused."What? ",the dragon asked. "That's all! ",Carl said.The dragon became attached to the boy." I will take care of you. "she said.She brought Carl to the lake and cooked fish with her fire. Carl complimented the delicious fish. The dragon loved the boy so much. The dragon finally knew what it was like to have a friend. Carl thought the dragon was scary at first, but now really nice and peaceful. What the boy didn't know was that before he came the dragon fought and killed all his relatives at his village. The dragon would burn down the libraries,schools,and buildings.But the dragon changed. Meanwhile in the village the people figured out Carl was gone. His father told the whole town and they began a search party. He sent a message to Carl's mother so she can know. She searched and searched. She started to see if he was in the undiscovered land. The more she went the darker it got. The sky got smokier and smokier. The temperatures got really cold. She was walking through this for Carl. Later, she noticed it got hot all of a sudden.The ground was glowing red. She noticed she was walking on something. The heat felt good after the long journey but it would feel better to find her son. She walked up scale-like stairs.They led to giant bat-like wings. That's when she discovered she was on a dragon. She slid off its back. She saw it's big face. Luckily it's sleeping, she thought. Then she saw someone resting on it's big toe. She ran over and discovered it was her son Carl. Then, she got mad at the dragon and pulled out a big shiny sword. She then stabbed it's toe making it mad. The dragon roared in pain as she pulled it out. The dragon swung it's tail next to the mother and she stabbed the tail. The dragon roared as she swung with the tail. She later got off the tail and needed to hit the dragon one more time. Carl sat on the side crying as he watched. The mother wasn't a doctor but she knew where the heart was. It was in the dragons chest. It was the mother's right and the dragon's left. When the dragon bent down to spray her with fire she stabbed the dragon. The dragon roared the loudest of roars and fell over and died. She turned around to see lots of people clapping. Carl was still crying because the dragon was his friend. The whole village was happy and had a huge feast and party. Except for Carl. His mom noticed he was sad and told him about all the bad things the dragon did. He was still sad but lived well without the dragon. He got new friends and read many books about reptiles. The new town in the once unknown area was named Gurlugs. Why? That was Carl and his family's last name. The town lived happily and owned many heaters and had many fires to keep them warm. The sky was still smoky like before, but the people knew they were safe. What the people didn't know is that the dragon layed eggs in its sleep before the battle.